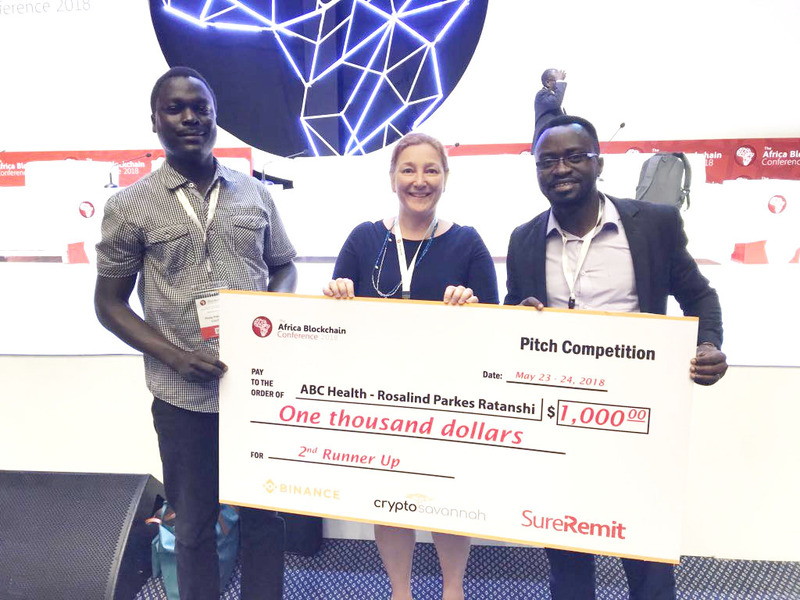 The Ugandan Academy’s “Activate BlockChain for Health” idea emerged 2nd runner up in a pitch competition during Africa’s largest blockchain conference on the 23rd and 24th May. Organized by The Blockchain Association of Uganda, with support from the Government of Uganda, the Africa Blockchain Conference concentrated on “the role of blockchain technology in Africa’s transformation”. The pitch competition was geared towards showcasing ideas that can solve national problems and leaders in policy, business and academia from around the world were at the Kampala Serena Hotel for the event. The Ugandan Academy was the only health-related idea to make it to the finals and the only not-for-profit organisation that pitched in health. At the Health Innovations Conference hosted by The Ugandan Academy in March, one of the most inquired-about session was “Data confidentiality and Intellectual Property” where Prof. Garrick Hileman, a blockchain expert based at the University of Cambridge presented on the opportunities for advancing health systems through the use of Blockchain.